Real nice Craig. I've never been a huge fan of Cap, I tolerated his team-up with the Black Falcon, but I must say your treatment of the chain mail shirt is wonderful. Wouldn't be the 4th witout Cap. Thanks for bringing him back Craig. never a fan of the scaley chain-mail, but you make it look good, brother! Awesome Captain America Craig,Will be getting house on the 13th. Will keep you updated. Transformers was awesome. holy crap in a hat! that is a rad cap there! 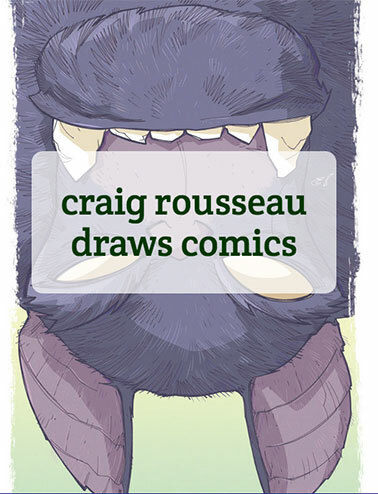 That's a really 'smart' looking illo, Craig! I really like what you've done with the figure, facial gesture, and (nearly) worms eye view angle. Great stuff! ahhhh, baseball in new england. love me some mouse guard!